Automatically patch Windows and 3rd Party Applications using Pulseway's cutting edge Patch Management module. Scan, install and update all your systems and on-demand or schedule them to be updated on particular dates and intervals. Patch Management is one of the most critical and complex processes managed by IT. The sheer volume of patches combined with the growing number of endpoints that IT is responsible for makes patch management a tremendous undertaking. 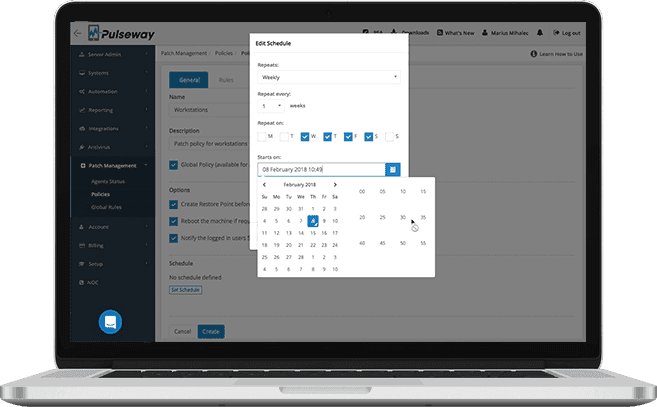 Designed with simplicity in mind, Pulseway’s Patch Management ensures that your systems and applications are patched and kept up to date at all times. 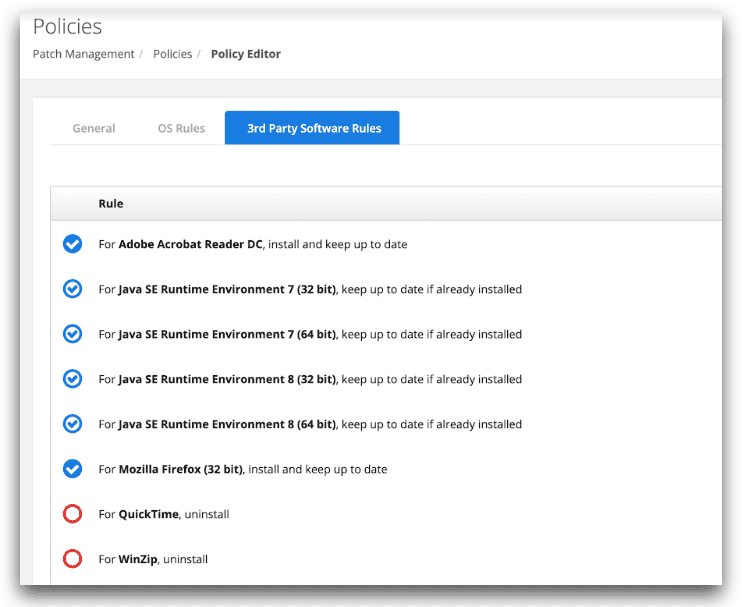 To get started, configure your OS patching rules and setup some 3rd party software titles to be deployed, updated or uninstalled then configure the schedule on which patching will run and you’re ready to go. In the case of Meltdown and Spectre, the attacks are against the CPU, but the fixes are largely to the OS. Many exploits work this way, which is why patching is so critical to overall security. While some patches are less of a priority, others that address significant security concerns need to be installed immediately to safeguard organizations against cyberattacks. 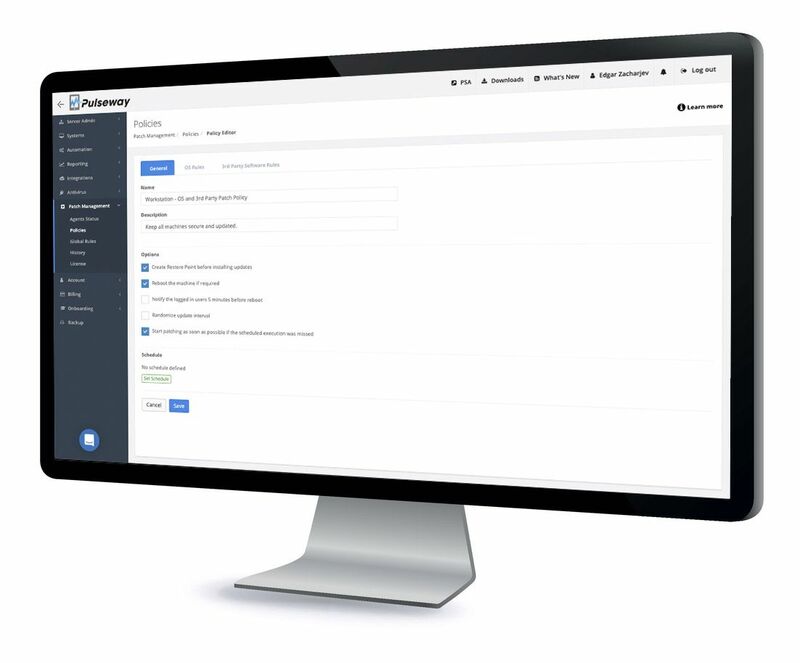 With Pulseway, you can now manage this process seamlessly and remotely. Thousands of MSPs and IT departments use Pulseway every day to reduce down time.